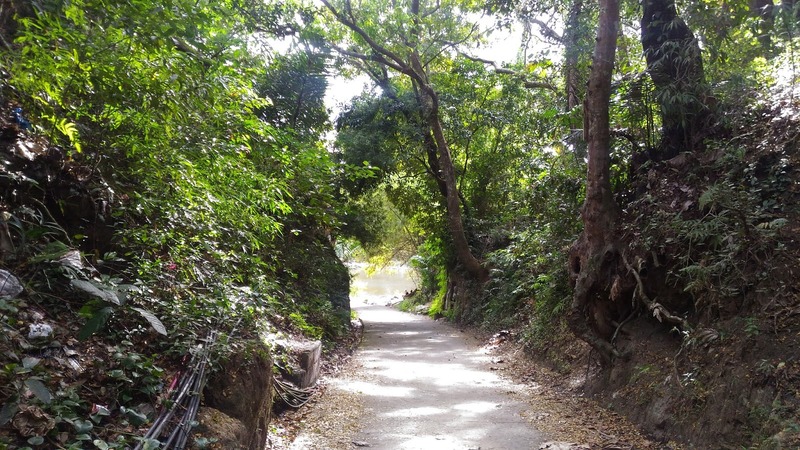 CAVITE PHILIPPINES | As a blogger who is based in Imus, every time I ask people what think when they hear the word Cavite, people always think of Balite Falls in Maragondon, Tagaytay City, Emilio Aguinaldo, Andres Bonifacio and the Revilla’s . But more than this, there is actually a lot to see and explore in this Province. That is why when I was invited by XPLORRA with regards to travel website launch of Cavite Tourism, I felt that this was a great opportunity to know more about what I consider to be my new home province. XPLORRA.PH is composed of different people from all walks of life but have one goal and that is love for travelling and love for our country. That is why, through collaboration with the different local government, they provide travelers with the information they need such as accommodation, places of interests, food to try, and other activities by putting it all in one website. With the collaboration of Cavite tourism and XPLORRA, they launched it’s very first travel website, www.CaviteTourism.com . This website will take visitors on a journey of the Provincce of Cavite and explain why Cavite should be your next destination. Last January 31st, we spent our morning at the Provincial Capitol Building at Trece Martires. Together with heads of the tourism, travel agencies, and resort owners in different cities and municipalities, we all witnessed the website go live. Everybody was very excited and very positive about this as this will encourage more visitors to explore the province of Cavite. After witnessing the launching of the website in the morning, the Cavite Tourism office and XPLORRA took us on a side trip to one of the historical municipalities, MARAGONDON, CAVITE. From Trece Martires, they first took us to OUR LADY OF THE ASSUMPTION CHURCH of Maragandon, Cavite. Built in 1618, this church is considered as one of the oldest chuches in the Philippines. In addition, this church was declared by the National Historical Commision of the Philippines (NHCP) as a Historical and Cultural Site and a national treasure by the National Musuem. Mr. Ige Ramos, a food critic was also part of our tour and also explained to us a little background of the church door. This door is considered one of the original artifacts of the church and is well preserved. We were also told that Maragondon used to participate in the Galleon trade which can also be seen in the wood carvings on the door. One of the many original artifacts found inside the church is their RETABLO. From afar it looks like a normal one but as they switched on the lights, the golden color illuminates so brightly which left us all in awe. It’s stunning! After our visit to the church, we were overwhelmed when we were invited for a courtesy call with the Mayor of Maragondon, Honorable Reynaldo A. Rillo. With his busy schedule, he gladly entertained us and we even had a photo opportunity with him. 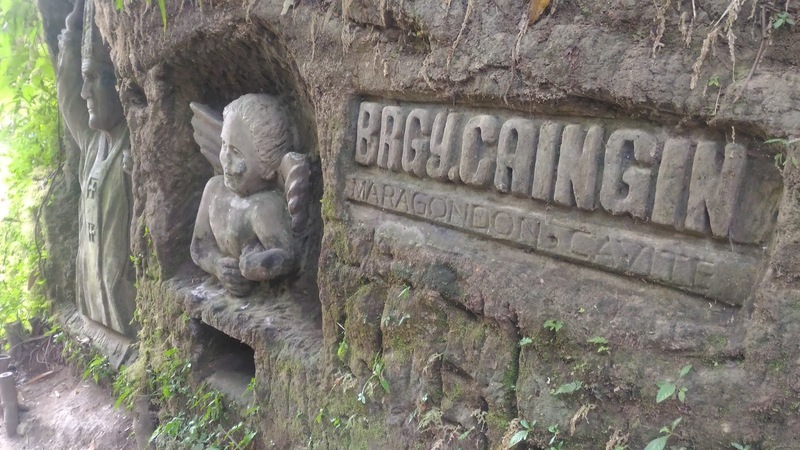 Another interesting place to find in in Maragandon is in Barangay Caingin. 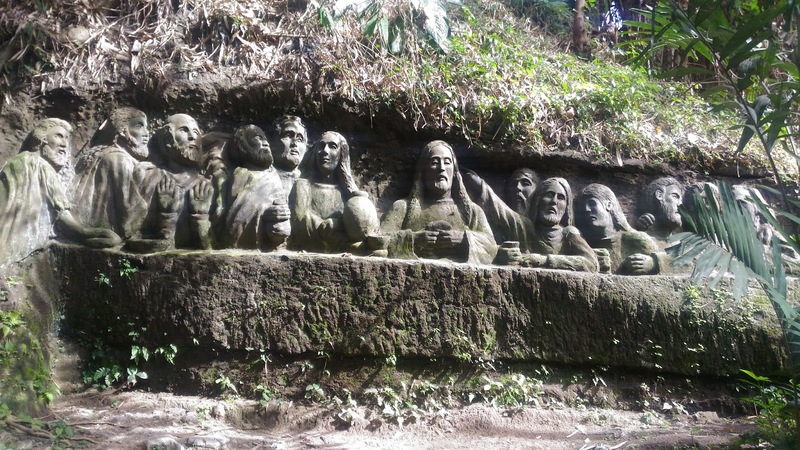 As you enter this Barangay, you will find the different stone carvings of Pope John Paul II and other figures in the Christian Faith like Mama Mary and the Last Supper. Another place of interest in Maragondon is the BONIFACIO TRIAL HOUSE which now serves as a museum and is now handled by the National Historical Commission of the Philippines (NHCP). There is no entrance free for the museum. Here, get to learn more about the life of Andres Bonifacio as the founder of the Philippine Revolution and how he was tried with his brother at this very place in 1897. As we were nearing the sunset, we ended our tour on a boat cruise along the Maragondon river. Watching local residents do their daily chores, pass through some hanging bridges, and just enjoy the serene landscape of the river. 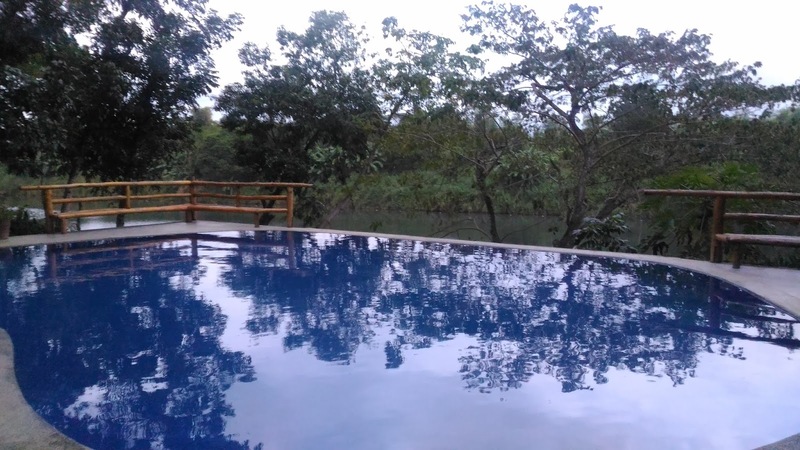 One of the resorts you can stay when in Maragondon is the RIVERFRONT GARDEN RESORT. One of the main highlights of this resort is their swimming pool overlooking the river. The rooms are quite cozy and very affordable. It is also very peaceful inside making it ideal place for a staycation. Before we went back to Manila, never leave Maragondon without dining at LOLO CLARO’S restaurant. The restaurant is very simple and small but the food they serve makes people want more. One dish that makes this famous is their deep fried chicken. It’s so crispy on the outside and juicy in the inside. Yum! I was very pleased that the Cavite Tourism Office and XPLORRA collaborated in creating a travel website for the province of Cavite. 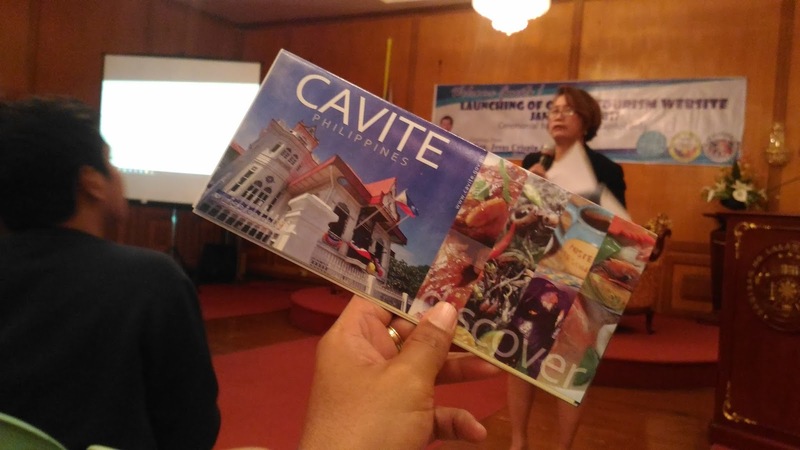 This is a big step forward for the province of Cavite to attract more visitors and for travelers to see that there is more to explore in this province! I once visited Maragondon once in 1999, friends from Cavite invited us and I never felt so welcomed and with such a big family to accommodate a jeep full load of us to visit first time Cavite, such a wonderful experience, and yes the river is my favourite spot, I rode a banca there with the daughters, so beautiful, thank you for this blog.. Pleasure always! I hope they would continue to protect the river because it really was so beautiful! you are also correct about how hospitable the people are in Marogondon.